• Migrate to mtn pulse by dailing *406 #. 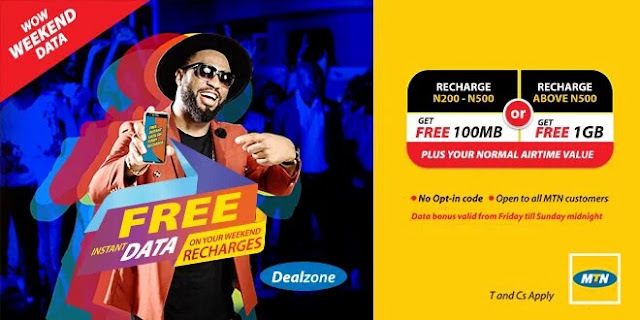 This is not compulsory, mtn wow weekend is available to all mtn subscribers. But to enjoy their night package, cheaper call rate and deal zone you can migrate, else, skip this part. Note: your airtime will remain intact, however the bonus data expires 12 midnite on Sundays. So you can decide to make your favorite subscription on any weekend just to get the extra data. Remember you must recharge above N500 to get 1GB, even if it is N501. You can use Bank transfer, it also works. Download share Nairabit android app so you don't miss out on latest updates, also go to our homepage for other exciting posts. Stay connected !